E aqui vai a Biografia da Gajona Melissa!!!! "In 1994 I left my home in Montreal to join a big American band. My official life in music had begun. I played bass in Hole for an intense 5 years, and then joined Smashing Pumpkins to support their last album and farewell tour. They were incredible years of my life educational, like a Bachelor's degree in rock followed by a Master's. 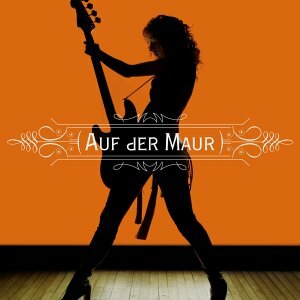 All of which led me here: Auf Der Maur, my first solo album. The recording process started in March 2001, but the songwriting took place over the last decade. For creative reasons, it was important for me to do this on my own, before even entertaining the thought of a record company. So I got a plan together and spent every penny I've made. I just needed to make my album with no thought of how it would get out there. I love music and I invited all of my friends down to celebrate it with me. Music to me is about collaborating. There are a lot of musicians with whom I worked on this album: Chris Goss, who produced Queens of the Stone Age; Josh Homme from Queens of the Stone Age and Brandt Bjork, who were both in Kyuss (I think I was their biggest fan); Eric Erlandson, with whom I played in Hole; James Iha, with whom I played in Smashing Pumpkins; and Steve Durand and Jordan Zadorozny, my original bandmates from my first band, Tinker. This wasn't about just working with someone because I loved their musicianship. This was about musicians in my life in one form or another for over a decade, people who knew and were sensitive to the fact that I had spent time in someone else's musical world and wanted to build my own. They supported me with their generous time and talent as brotherly musicians. I wrote the majority of the songs, but I consciously made room for two other songwriters: Josh Homme and Steve Durand. Josh is one of my dream musicians and a complete inspiration. Steve is my best friend and from my first band. These guys represented my roots and my dreams. In the studio I ran a really tight ship. With my musical responsibilities and a tight budget I had to crack the whip. I would work with a drummer, lay down a foundation for a song, then put its basic structure down -- guitar, bass, vocal -- and then have these amazing musicians whom I cherish in my life come in. I would designate them to specific areas to put down the top layers, building the ornate wall of sound I crave! This album has a big, sweeping sound. Chris Goss and I produced it together and he was more of a musician/band member than a producer. We recorded "Followed the Waves" as a trial, to see if we really wanted to work together and it was so laid back I didn't even think it'd make it on the record. The only players on the original version of that song were me, Josh Homme and Kyuss drummer Brandt Bjork. The direction I gave Brandt was to just play it like Kyuss's Blues For The Red Sun. So here we were recording the first song for my first solo project for a potential first album and I essentially had Kyuss as my backing band. Magical. With the closing chapter of the Smashing Pumpkins in 2000, I took almost two years off after touring the world non-stop for literally six years. I needed time to recuperate and figure out what music and life meant to me. With this album I've rediscovered them both and made my dream record in the process. Enjoy.